Walking Football Kicks Off at Broxbourne! The first Walking Football session started today 5th October at Broxbourne Sports Club. We were delighted to welcome the 12 players who came along. There were a few Broxbourne Sports Club members and others who live locally but were new to the club. 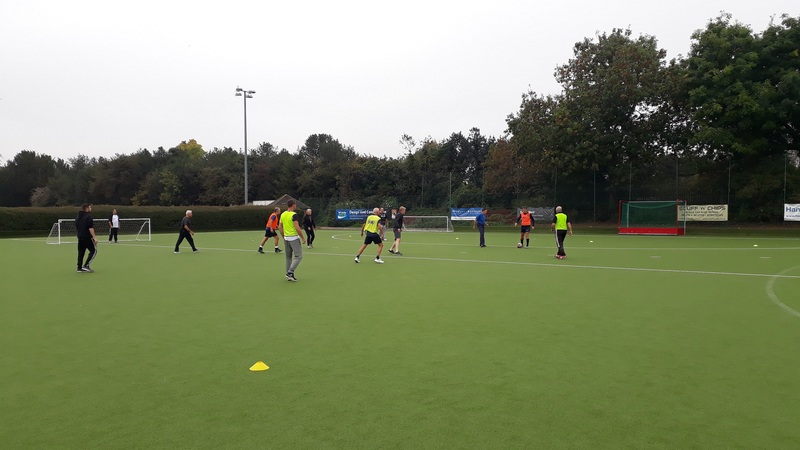 Some already play walking football at Hertford or Cheshunt – others were giving it a try for the first time. They had a great 6 – a side game guided by GC Sports Coach, Josh – on a lovely autumn morning. These sessions will now run every Friday starting at 10.30am. Anyone new wanting to come on another Friday can come and try free of charge – thereafter it is just £3 a week (£2.50 for Broxbourne Sports Club members).